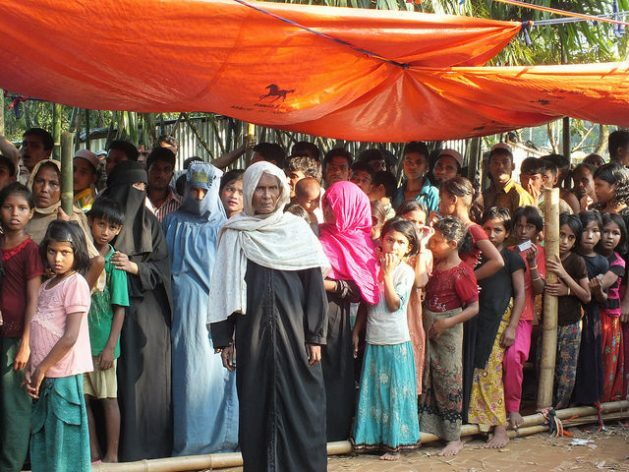 DHAKA, Bangladesh, Jan 14 2018 (IPS) - The repatriation of Rohingya refugees driven from their villages through violence and terror appears uncertain, with critics saying the agreement legalising the process of their return is both controversial and impractical. Shireen Huq, a leading women’s rights activist and founder of Naripokkho, one of the oldest women’s rights organisations here, told IPS, “In my view Bangladesh should not have rushed into the bilateral ‘arrangement’ and especially without the involvement of the United Nations or consulting the refugees themselves. The uncertainty deepened with Myanmar regime still refusing to recognize the refugees as their citizens, throwing the possibility of any peaceful return into doubt. UNHCR estimates there have been 655,000 new arrivals in Bangladesh since Aug. 25, 2017, bringing the total number of refugees to 954,500. Bangladesh and Myanmar signed a memorandum of understanding on Nov. 23, 2017 on the repatriation of Rohingya people who fled their ancestral home in Rakhine state in the wake of military assaults on their villages. But Huq notes that a similar 1993 bilateral agreement to repatriate Rohingya refugees who had fled to Bangladesh was not very successful as the voluntary repatriation was opposed by the majority of the refugees. While the deal has been welcomed by the international community, including the US, the European Union and the United Nations, others urged the government to involve a third party to ensure a sustainable solution to the crisis. They say that Bangladesh has little experience in managing an international repatriation process and unless it fulfills the international repatriation and rehabilitation principles, the agreed terms may not be strong enough to create a lasting solution. Muhammad Zamir, a veteran diplomat, told IPS that the world should not leave Bangladesh to shoulder the complex problem alone. A Joint Working Group (JWG) consisting of government representatives from Myanmar and Bangladesh was formed on Dec. 19 and tasked with developing a specific instrument on the physical arrangement for the repatriation of returnees. The first meeting of the JWG is due to take place on Jan. 15, 2018. “The most damaging clause seems to be agreeing on the terms of Myanmar that is scrutiny of papers or authenticity of their being residence of Rakhaine,” he added. Shafiullah expressed deep concern about the inadequate financial support for humanitarian aid to the Rohingya camps.